Herbal and vegetable drinks have always been a part of every Indian household. Grannies of yesteryears, were very much into preparing such herbal concoctions to cure ailments like common cold, fever, acidity, skin allergies and sometimes to the extent of treating serious ones like jaundice and malaria! Although it's not advisable to use herbal home-remedies to cure major illnesses, minor ones do respond well to vegetable health drinks. 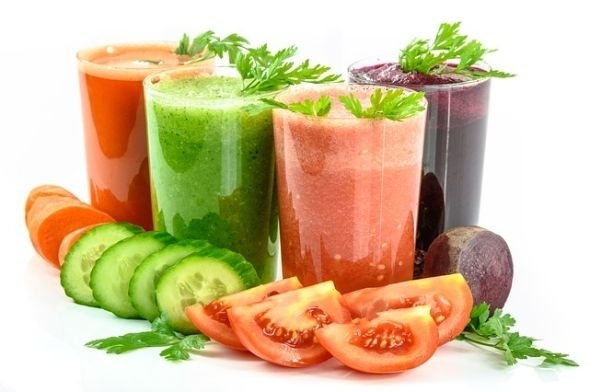 Fitness conscious people begin their day with a healthy dose of herbal and vegetable drinks after completing their exercise regime of morning walks, jogging, pranayam and such. For some time now, the parks in cities like Bengaluru have been catering to these fitness and health enthusiasts. Vendors, with their drink 'cocktails' can be spotted in almost every happening park. Many believe that a brisk morning walk in the park, accompanied by these herbal juices taken on an empty stomach is enough to energise and keep them active for the whole day. 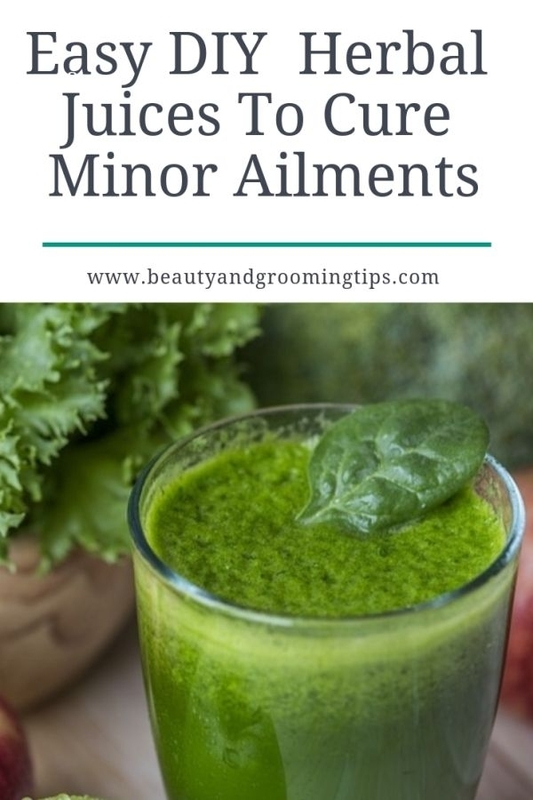 While it's true that starting the day with a positive frame of mind and a dose of healthy vegetable juice braces you up, you should ensure that these juices are prepared in a hygienic way. With the onset of summer and rising temperatures, there's a greater of chance of contamination and food poisoning which can do more harm than good. So it would be wise to have those juices in the cosy comforts of your home and prepared hygienically in your kitchen. *Mint (pudina) tea is used for colds, flu, sore throat, laryngitis, gas and mild digestive disorders. Put a bunch of mint leaves in a pint of boiling water and sweeten with some honey. Serve in small glasses. Freshly grated ginger, with half a spoon of honey taken with hot water or milk will also serve the purpose. * To improve digestion, churn buttermilk with small pieces of ginger, onion, fenugreek (methi) seeds and salt and serve in a tall glass. * For diabetes, grind the leaves of neem, bittergourd, curry leaves and Guduchi (Tinospora Cordifolia) / Amrutaballi into a fine mixture and add proportionate quantity of water. For those who cannot stand the bitter taste, grind fresh pumpkin and cucumber, make it into a fine paste, and add some water and bring it to a boil. Once it is cooked, remove from stove and add a teaspoon of lemon juice. Salt is optional. * For obesity, add a teaspoon of honey and lemon juice for a cup of lukewarm water. Curry leaves can also be added to that. However a word of caution. The practice of herbal medicine is a science, not a pastime. It should not be used with without precise knowledge, as one's medicine might prove to be a poison for another. Ayurvedic doctors opine that one must know one's body metabolism before consuming these juices. They say that it is better to test them before taking them regularly, and only if the body accepts, should it be consumed regularly. Also people must not confuse herbal drinks with Ayurveda. Herbal drinks constitute a minute part of Ayurveda and only some herbs are recommended by the doctors. The doctor also advises that these drinks are best if taken on an empty stomach, since prior intake of food may result in acid formation and consequently, food poisoning. Health Drink with dry coconut, sesame and jaggery. orange juice instead of tea in the morning after breakfast.Because in the morning,our brain need more glucose for a better function.Grapes is also good.Evening for the tea time barely soup is good.In general all the fruit juices are good.But if you take a fruit juice instead of taking the fruit itself,then you will loose some good things.